_I was nine years old when I heard about the genocide in Rwanda. I couldn’t locate Rwanda on a map, because my world mainly consisted of my house, my family, my baseball glove, and me. I also couldn’t fathom living the atrocities detailed on the news, and I had no idea how children my age could get through it. I could understand, however, from the confines of my comfortable couch, that no one should ever have to go experience anything like that. That no child should starve to death, that people with lots of money and resources should help, and that "my" world wasn't about me. I made a promise to myself: when I grew older, I would use whatever means in my grasp to lend a hand to my suffering and oppressed neighbors, especially kids like me, no matter the limits of my resources. In the meantime, I donated a percentage of my modest monthly allowance to global relief organizations like Doctors Without Borders. While I was using the capital at my disposal, it did not feel like enough. When high school came along, I began to lose sight of the resolution I'd made years before, and focused most of my energy on sports, girls, getting into college, and being a part of the "cool" crowd. Saturday morning commercials about starving children would spark me to make a donation in the moment, but the same volition I had always had was absent. But when I learned about the conflict in Darfur during my sophomore year in college, the pledge immediately came back into focus. I redoubled my efforts into the mission of helping children in the midst of despair. Music became my vehicle to raise awareness. In 2006, I organized, managed, performed on, and raised funds for the "Save Darfur Tour", a non-profit national music tour aimed at raising awareness to the still largely unpublicized mass-killings in Darfur. Shortly thereafter, I graduated from college with film and philosophy degrees and founded Elephant Memories, a socially responsible hip hop record label. 50% of all proceeds from the sales of all music and merchandise were donated to top-rated global relief organization, Mercy Corps, and their work providing clean drinking water in the Democratic Republic of the Congo. This practice still continues, and Mercy Corps has been the exclusive charitable partner of Elephant Memories for three years and counting. Still, this did not feel like enough. In July, 2010, I quit my job as a corrections officer in a maximum security juvenile jail, bought a plane ticket to Nairobi, Kenya, and volunteered at two orphanages in the outskirts of the city. I always heard it is one thing to have knowledge of the suffering of others, but true understanding only comes through direct experience and seeing it with one's own eyes. What I saw for the month I was there made an indelible imprint on my mind that I will never forget: children sleeping 16 to a room with no blankets, outhouses overflowing with maggot covered feces, and the hopeful faces of orphans still smiling through the misery. I couldn't leave without promising to come back. I couldn't waive goodbye unless I would soon return with a waive hello. I couldn't allow myself to again fall back into the lull of my comparably comfortable life and forget. 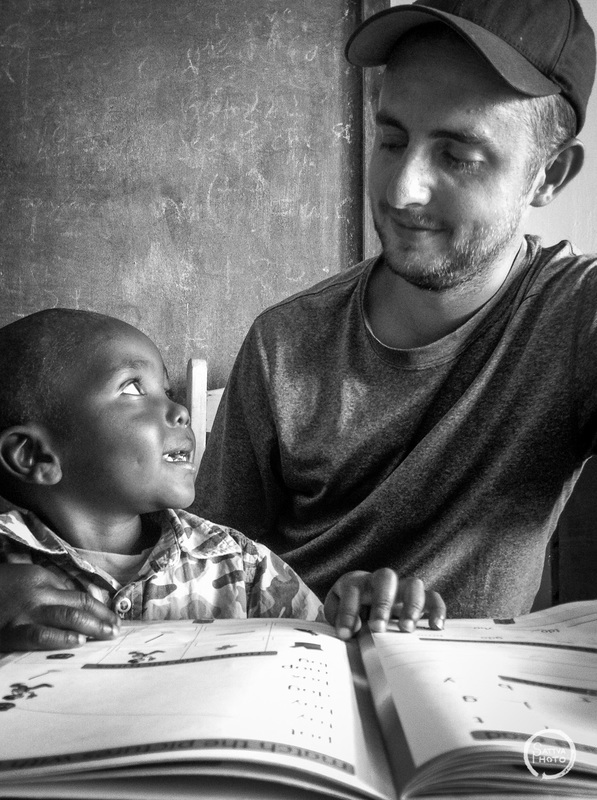 This trip to volunteer in orphanages across the globe is, quite simply, the product of the lesson of being aware of suffering around the world and experiencing it through the eyes of the children that live it every day. To see it, and not take action, is to forever lose sight of the humanity and compassion that binds us all together. This trip is not about me. It's about the tremendous strength of the children throughout the world living in abject poverty, and the simple hope to relieve, in some small way, the tremendous burden they are forced to carry on their own.